To purchase licences for your users please follow these steps. 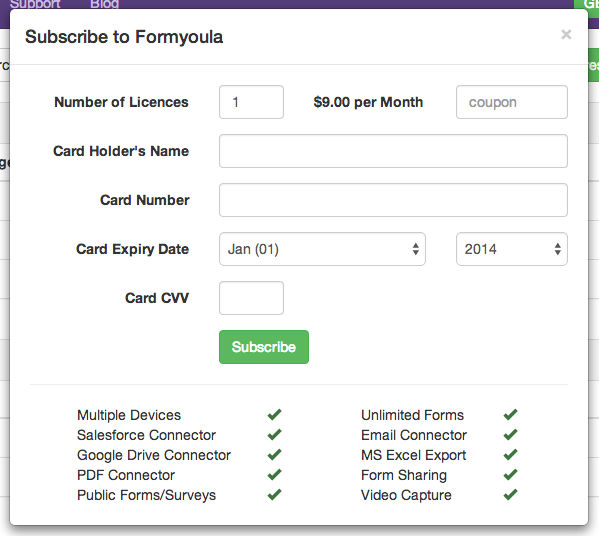 Go to Formyoula.com and click "Sign In". Click "Sign in with Salesforce". Click on the "Get all Features Now" or click on the "Users" tab and select "Buy More Licences"
Complete the purchase form entering the number of licences you would like to purchase and click "Subscribe". You can now invite users, assign licences and share your forms with them. To manage your users please click on the users tab. To assign a licence please click "Active" next to the user you would like to assign a licence. 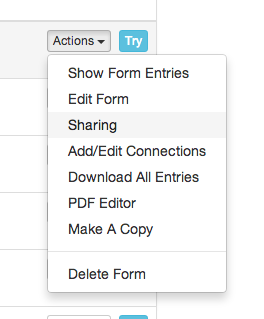 To "Share" a form please click on the "Sharing" option on the form you would like to share with active users. For any questions please contact support@formyoula.com, thank you.